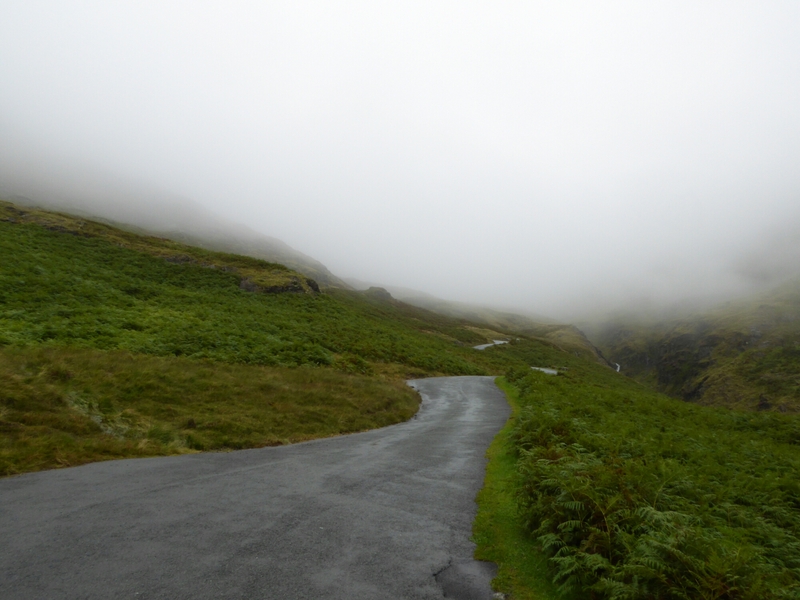 Rain stopped today around noon and I took that possibility to explore the southern Lake District and drive along Hardknott Pass. Since the severe rain on Sunday it has been raining on and off, so it was no wonder that some roads were still severely flooded. On my way to the pass I saw one completely closed of street and I passed a village which unfortunately had some flood damage to a few buildings. The roads were in a good condition compared to Scotland but treacherous due to a lot of small stones amd gravel which was flooded onto the roads. 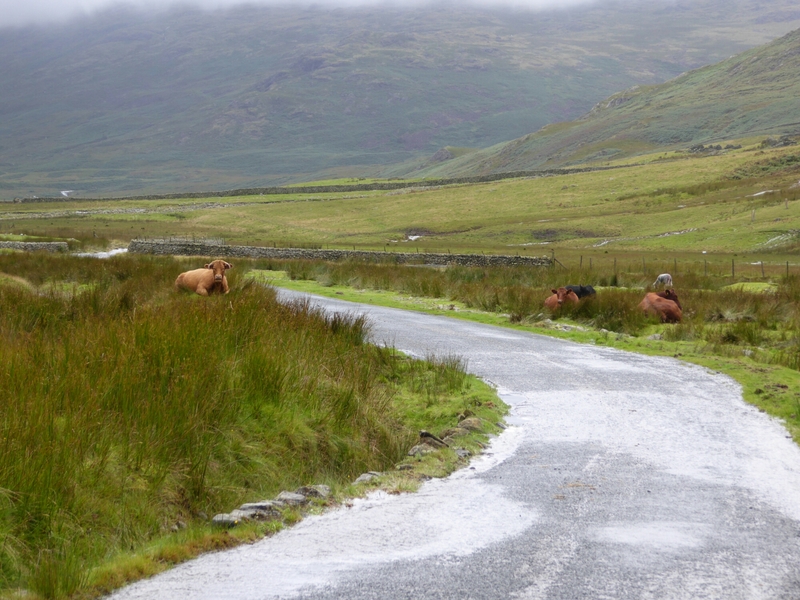 Fortunately traffic on the pass was very light. As you can see, there were not that many passing places on the single track road. According to highway code the vehicle ascending has the right of way, which is only sensible and worked quite well. 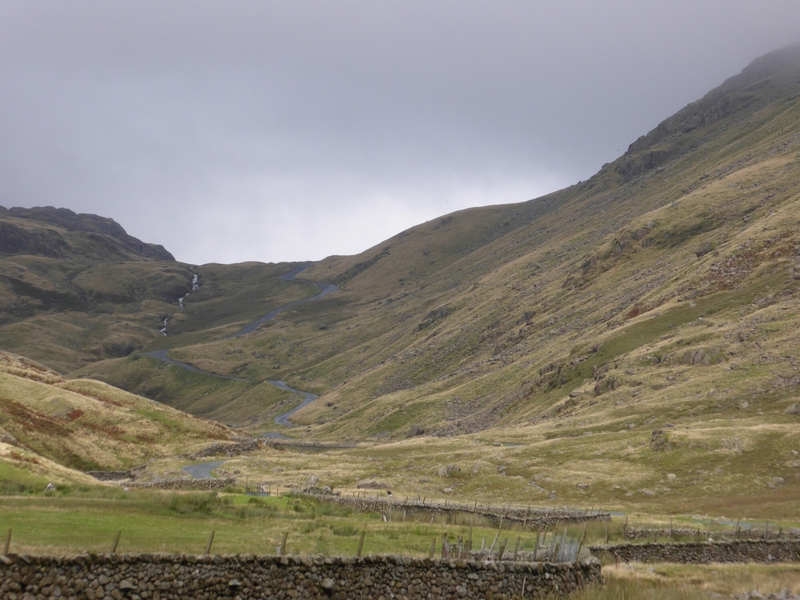 Do I recommend Hardknott Pass? Definitely! However, with a car you really want to have some power to battle through the inclines, some ground clearance and a vehicle that is not too wide. It is probably better to do it by bike. 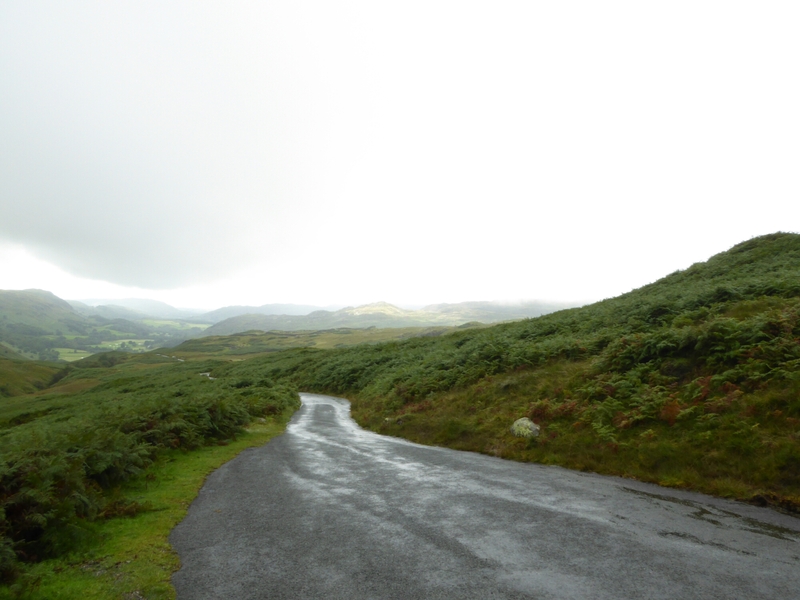 Beware that this road is challenging for beginners as you can't move faster than 15kph on the hairpin inclines. On the way back to the apartment I went around a few lakes. Nice, but nothing compared to the Scottish Lochs. I also passed some Beatrix Potter attraction and learned at a gas station that she was a children's author - nothing to do with Harry Potter. Weather forecast for tomorrow is reasonably good, so I will probably head to Tan Hill Inn then.